Lately, I’ve been drawn to wearing a lot of black. In fact, I think I wore black jeans in different styles at least three times last week. 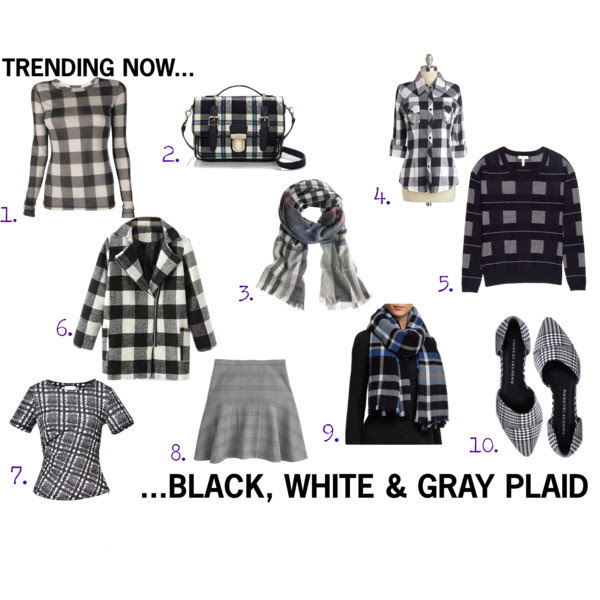 This week’s trend will definitely lighten up my wardrobe mood by adding white and gray in plaid. Nothing other than plaid best describes fall and this color palette is classic. A subtle way to add plaid to your look is by accessorizing with a handbag or scarf – functional and cute. To make a statement, I suggest a great coat or shirt with a basic bottom.